I love rains, almost everything about it. Also, I mostly have good hair days during monsoons due to humidity. But humidity doesn't do a lot of good on my skin. My face is quick to develop a layer of grime. And I always need to carry around a good facewash with me. WHAT IT CLAIMS TO DO FOR YOU? 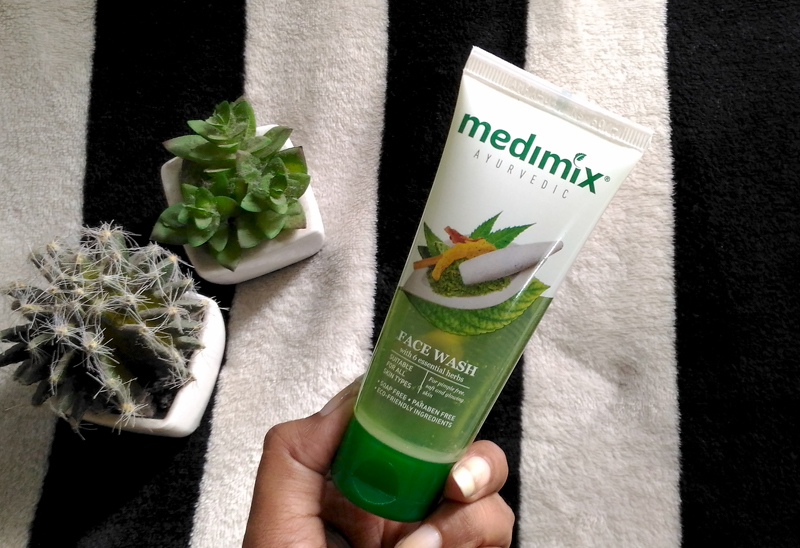 MEDIMIX Ayurvedic Face wash gives your skin all-day natural care and protection. 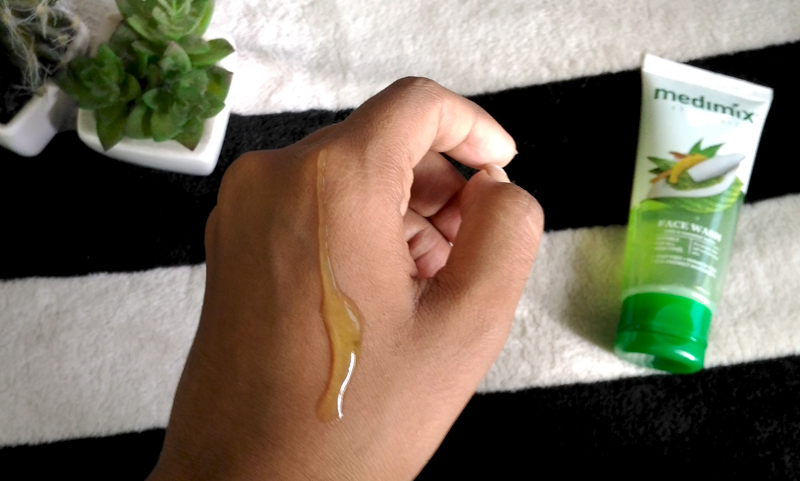 The unique blend of Turmeric, Aloe-Vera and Neem gently cleanses and rejuvenates skin. The divine Herb Lodhra reduces skin inflammation and improves complexion, Kushtha and Manjishtha helps in enhancing skin texture. It helps your skin as it battles with environmental toxins all day, keeping it pimple free and clear. It comes in a very convenient squeeze tube with a flip cap. It is also transparent so one can understand how much product has been used. Very convenient to carry it around in your bag. 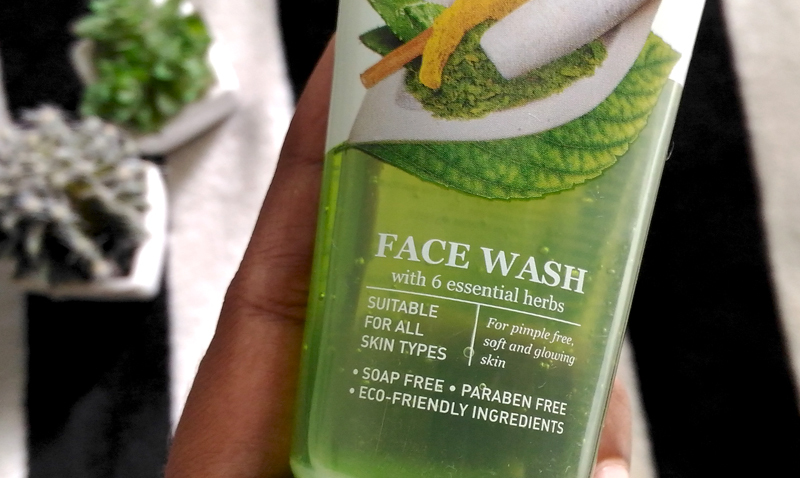 I totally love the mild herbal fragrance, it's very refreshing. It is a gel based formula in slightly greenish hue. It cleanses my skin quite nicely, get's rid of all the grime without stripping off the moisture. The skin does not feel stretched, it leaves the skin soft and supple. Fortunately, I don't have to deal with acne so can't say much about that. But over all I have been having a good experience with #MedimixAyurvedicFaceWash. I will definitely use this product... Thanks for reviewing it !! Useful article. What about this unique Monsoon fashion Umbrella? Never knew Sandal Vetiver Shower Gel could do so much good to my skin! Definitely will try the Sandal Vetiver Shower Gel for skin brightening & pimples.